Monitor the implementation of SB 30, passed by the Legislature during the 1997 regular session, regarding fraud and improper payments under state Medicaid and welfare programs. If needed, make recommendations for further legislative and regulatory action. Develop a plan for oversight of efforts by state health and human services agencies, the Attorney General, and law enforcement agencies, to detect and reduce fraud and improper payments under state Medicaid and welfare programs. The plan should address enforcement and punishment under state and federal civil and criminal laws. Continue to monitor federal welfare reform, and make recommendations for necessary legislative or regulatory action. Study the implementation of SB 55, passed by the Legislature during the 1997 regular session, regarding minors' access to tobacco. 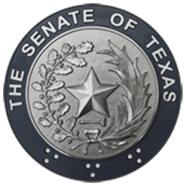 Monitor developments in the federal tobacco settlement discussions and identify potential, fiscal impacts to Texas governments. Examine the demographic trends of the state that will impact the health and human services delivery system in the future, including immigration, rural concerns, and the aging state population. Make recommendations for research and legislative action, if necessary. Study current practices in patient billing by Texas hospitals and providers of health care to evaluate the accuracy, clarity and timliness of patient billing. The Committee should examine existing regulatory authority and determine whether there is suficient authority to address problems in patient billings. If necessary, the Committee may make recommendations for standardizing patient billing; ensuring that bills are accurate and complete yet simple enough for patients to understand; providing a meaningful appeals process for incorrect or excessive billings; and establishing guidlines for submission of bill for payment within a reasonable time period.